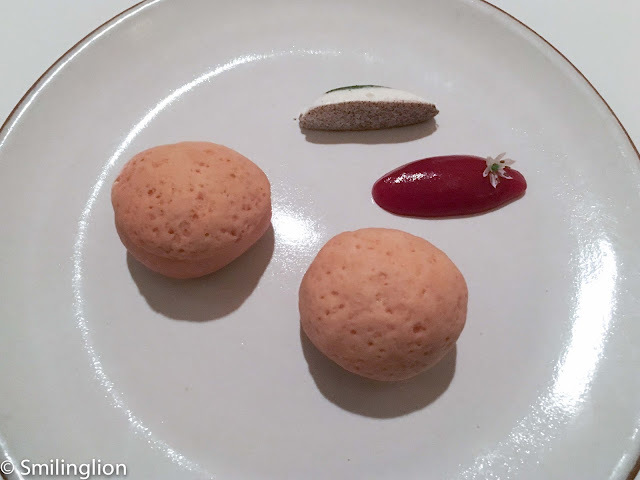 It has been 4 years since our last trip to New York City, during which time the fine dining scene here seems to have undergone quite seismic changes. 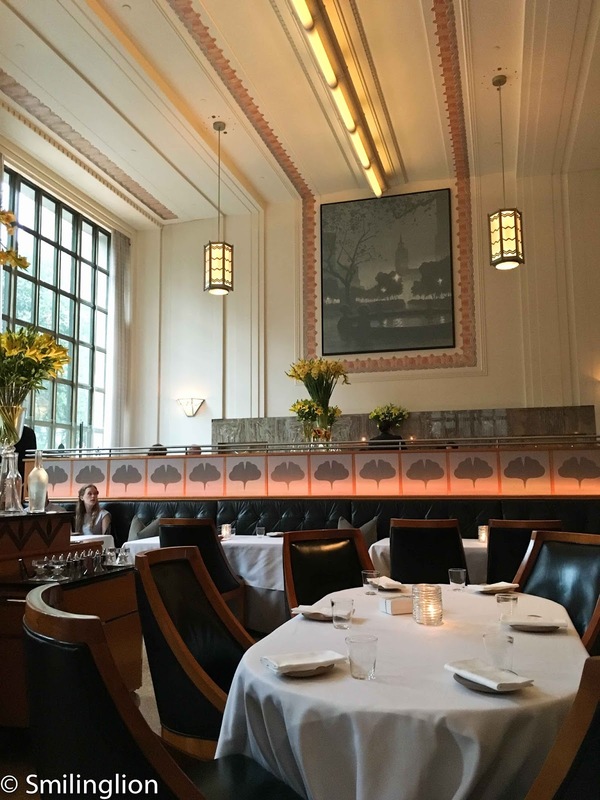 Against the backdrop of the noticeably slowing global economy, there has been the controversial debate of tipping versus mandatory service charge, the progressive dining scene shifting to Brooklyn, Shake Shack becoming a listed company, and Daniel Boulud's Daniel losing its third Michelin star. 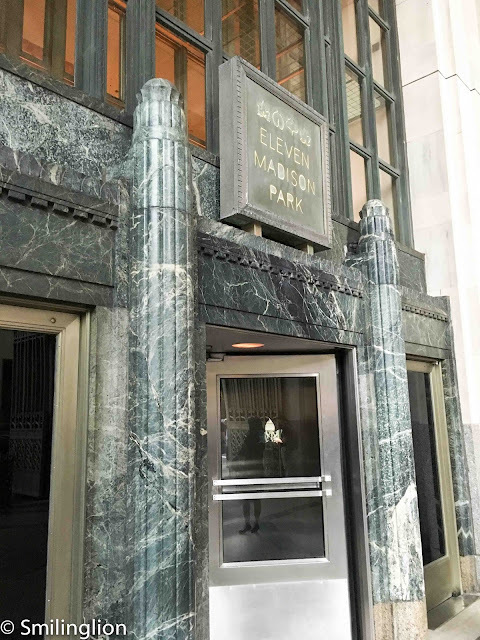 However, Eleven Madison Park ("EMP") has gone from strength to strength. 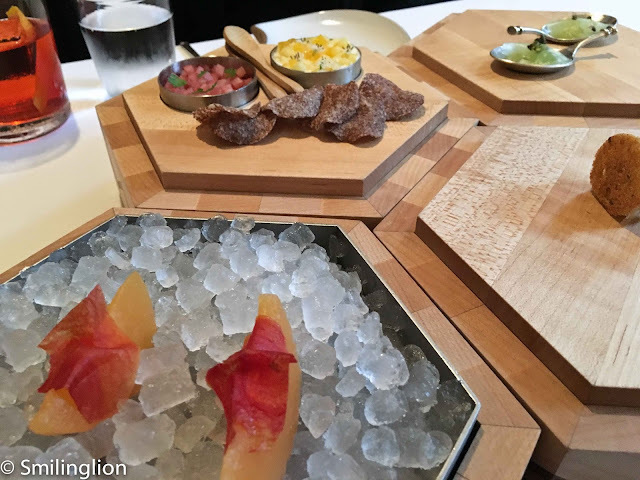 Having overtaken the declining Per Se in recent years, it has also cemented its position as arguably the premier fine dining restaurant in New York, a status further confirmed by its third place in the latest San Pelligrino World's 50 Best Restaurants list. Located just across the iconic Madison Park (where the original Shake Shack stand is), EMP takes up a cavernous space in an art deco-style building. Its high ceiling and tall windows allow plenty of natural light into the classy dining space, which is divided into two split levels and has a small bar at the corner. 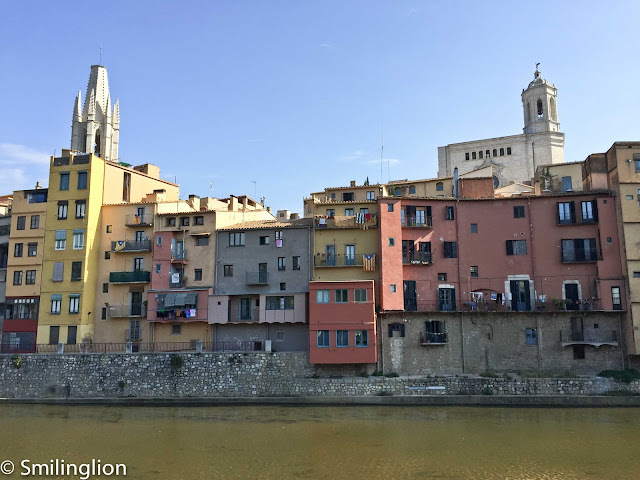 We last dined here in 2012 for lunch, and it was an excellent meal. We always spoke about visiting EMP again and this time round it was the first restaurant we booked once our New York trip was confirmed. 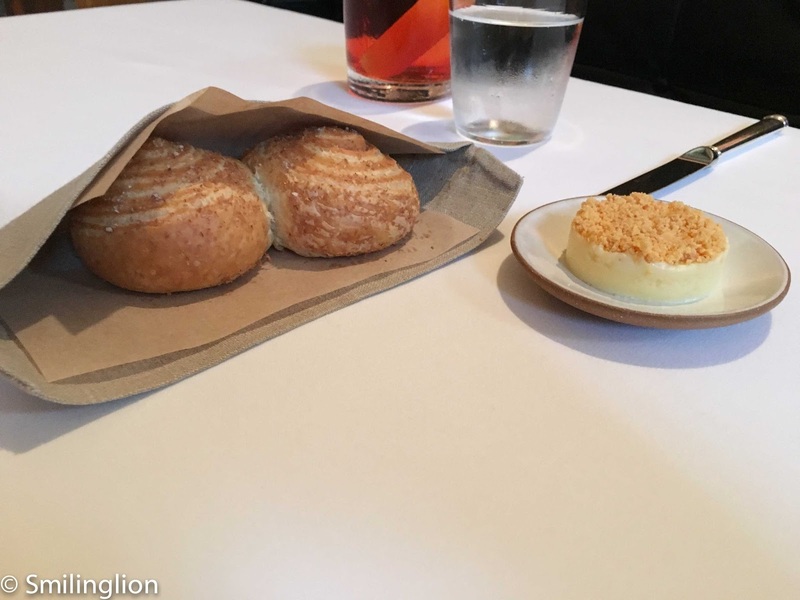 We were seated at the dining room after spending a bit of time at the bar (where we had a very good negroni), as we were there for the first seating and the restaurant was just getting started for the evening's service. 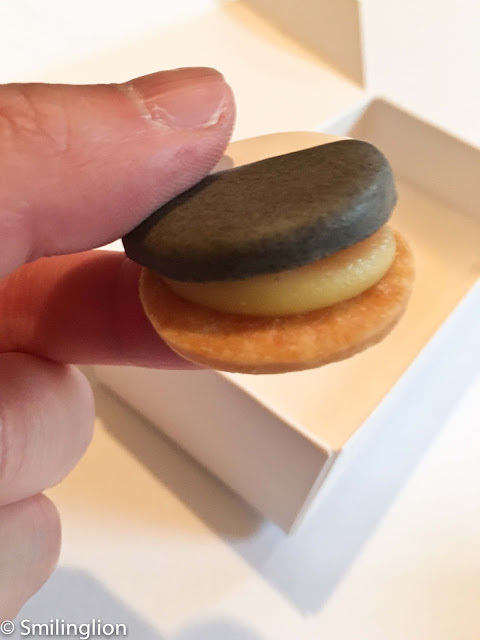 Upon being seated, there was a plain white paper box on the table containing the Black and White - savoury cookie with apple and cheddar, which was a delicious take on the traditional New York 'Black and White Cookie', except that this version was savoury rather than sweet. EMP has no food menu, but serves a single tasting menu for the evening. Our waiter came around to describe the types of choices we would have and whether or not we wished to make any changes to some of the ingredients used. Then he went away and shortly thereafter the food started getting served. The first course was a pentagon-shaped wooden tiffin carrier which unstacked to reveal four different types of amuse bouche. 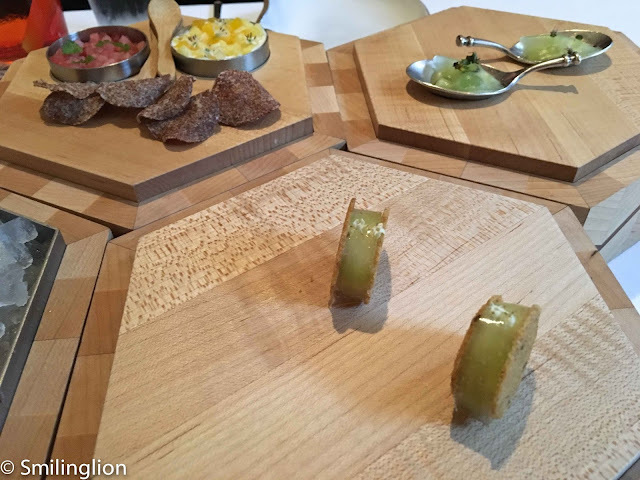 Clockwise from the top, they were the Melon variations with tomato and goat cheese, Cucumber with honeydew and mint, Cucumber with cream cheese and rye (this was like chips with salsa) and Cantaloupe with smoked watermelon (this looked and tasted like parma ham with honey melon). Without exception, they were all very good. 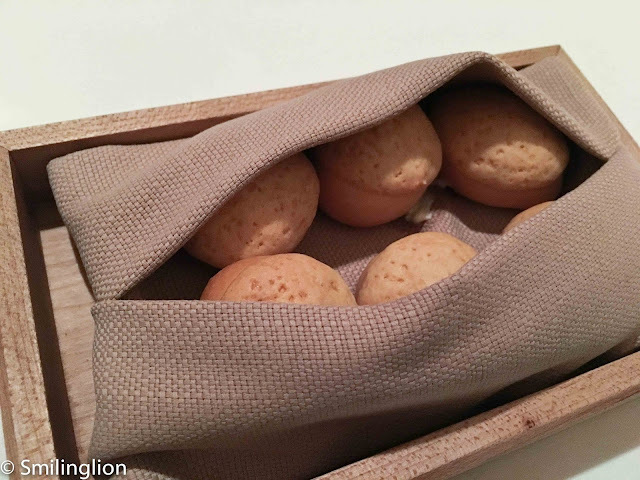 The bread course was a brioche roll served with restaurant-made unsalted butter with dehydrated cheese flakes. For the first of the choices we had to make, between us we selected the Crab salad with zucchini and lemon and the Tomato with basil croutons and red onion. The crab salad was an excellent balance of flavours, with the brininess of the crab meat blunted by the tartness of the lemon and evened off by the cucumber. 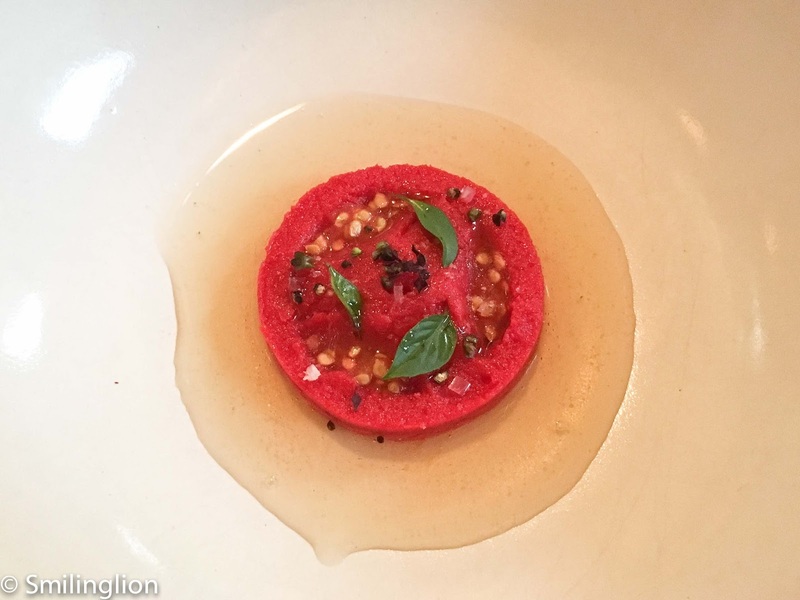 The 'tomato' was tomato puree crafted to look like a slice of tomato, on a bed of tomato essence. This was a very acidic dish but with the right amount of sweetness which kept it from being too sour. The highlight of the meal was the Caviar - picnic with pickled mackerel and ratatouille. 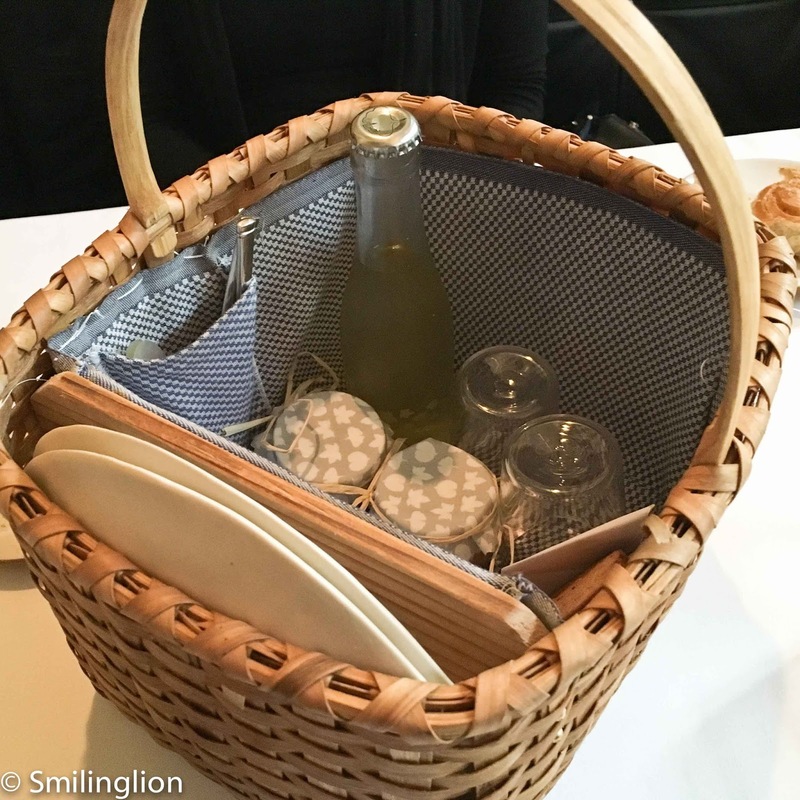 A large picnic basket was placed on our table, for us to unpack. 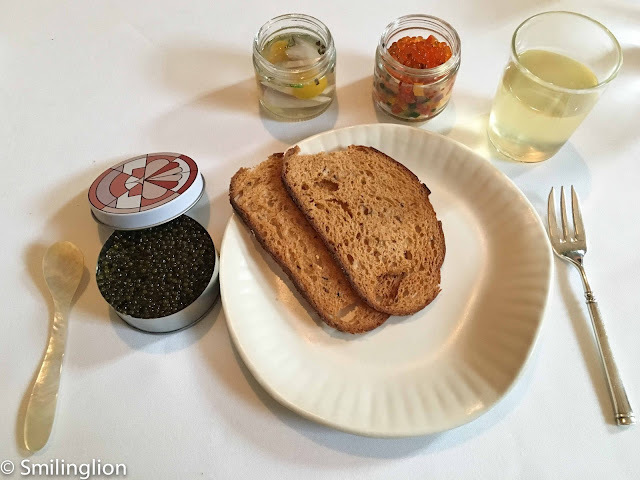 We took out two plates (which were shaped to look like paper plates), a bottle together with two drinking glasses, two jars of condiments, four slices of toast and two tins of caviar. The resultant meal was an indulgent feast, with the generous portion of caviar the centrepiece, and the addictive pickled mackerel and vegetable ratatouille condiments a perfect spread for the toast, and tomato champagne which we quaffed down with great enjoyment. 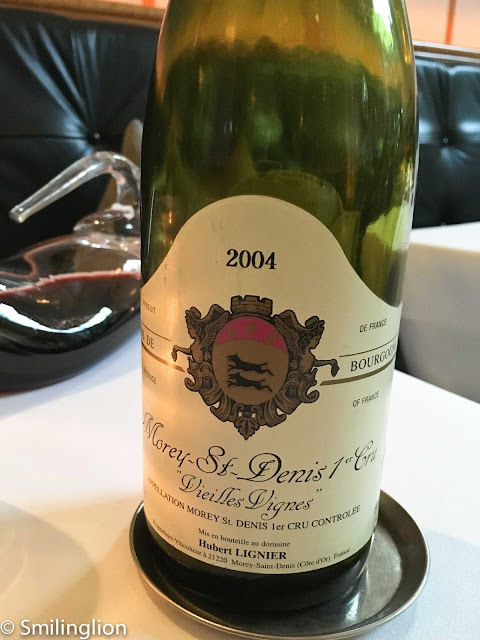 Our wine for the evening, which was a fine drinking 2004 Morey St Denis 1er Cru (VV) by Hubert Lignier, was being decanted and served just in time for the main courses. 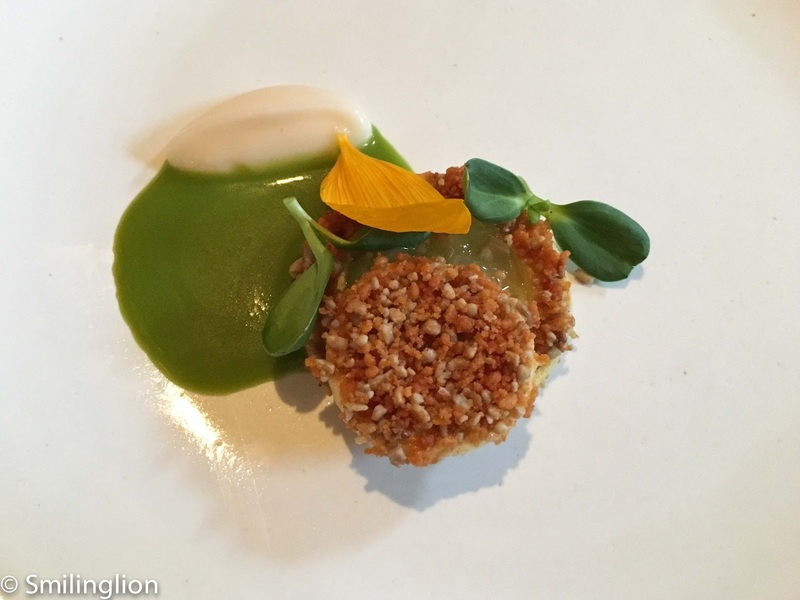 The Sunflower with green tomato and sunflower crumble sounded good when described but the green tomato was too sour for our liking, overpowering the rest of the dish. This was probably the most disappointing course of the evening. 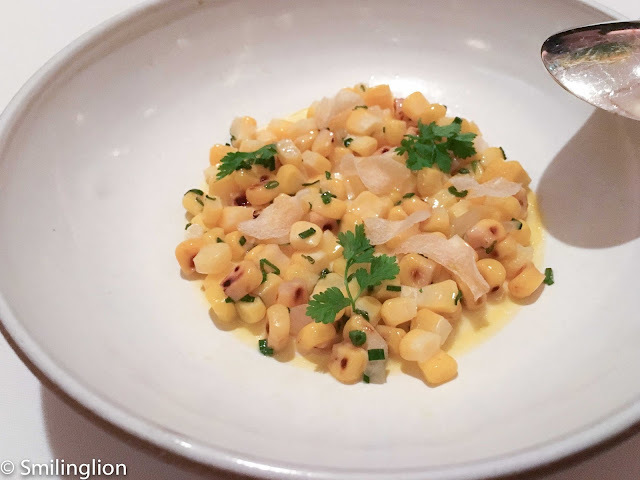 But the other choice, the Corn - variations with cured egg yolk and clams, was quite superb. 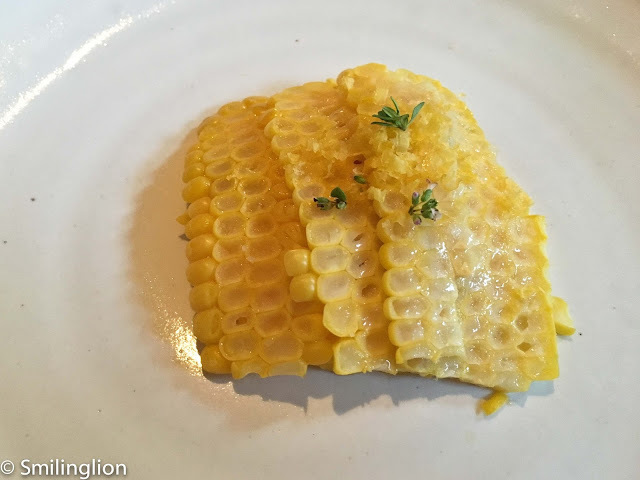 The sweetcorn was cooked in three ways: steamed, grilled and pickled. 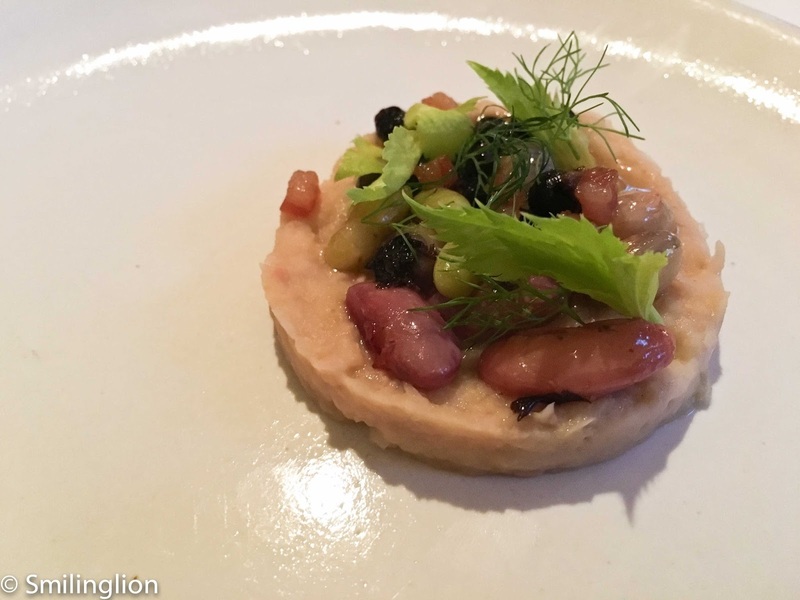 This was a creative version of a clam chowder and the contrast between the three, together with the clams beneath, resulted in an original and delectable dish. The Lobster Boil with beans, bacon and potatoes was a hearty dish of boiled seafood, which was served table-side. 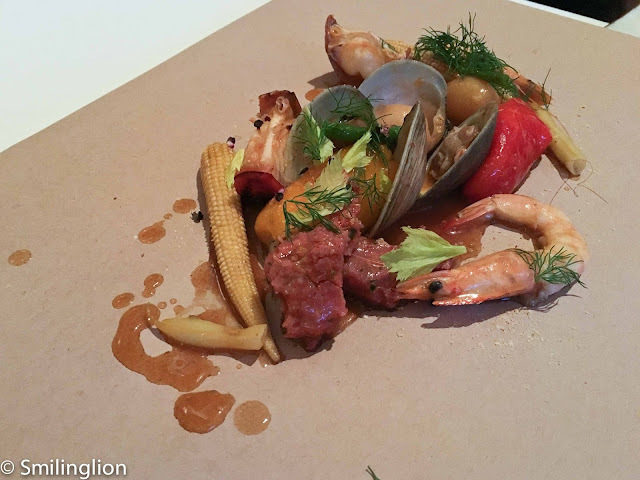 The seafood was scooped out of a copper pan and placed on a piece of paper on the table. On our plates was a mash of potato, news and bacon, which was a good accompaniment to the seafood of lobster, prawns, clams, sweetcorn, leeks and tomatoes. 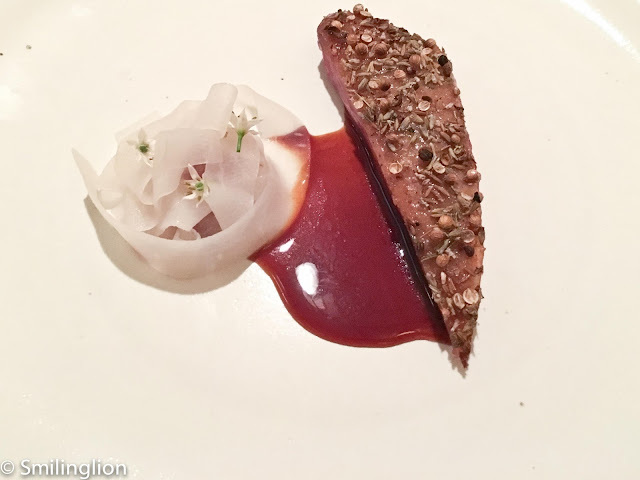 The meat course was the house special of Duck - honey and lavender glazed with cherry and onion. 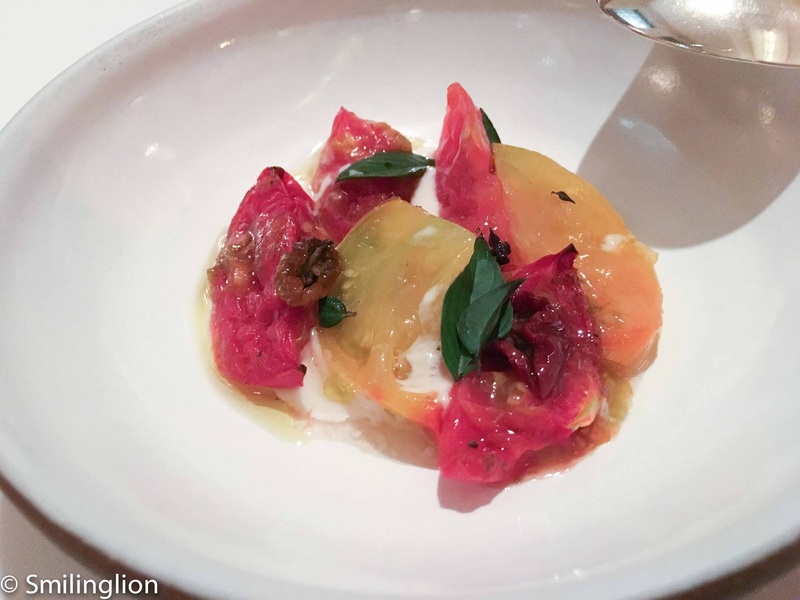 This was accompanied by the Tomato - roasted and compressed with bread and Corn custard with garlic and lime. The duck breast had such rich flavours from the lavender and pepper marinate and was delicious. 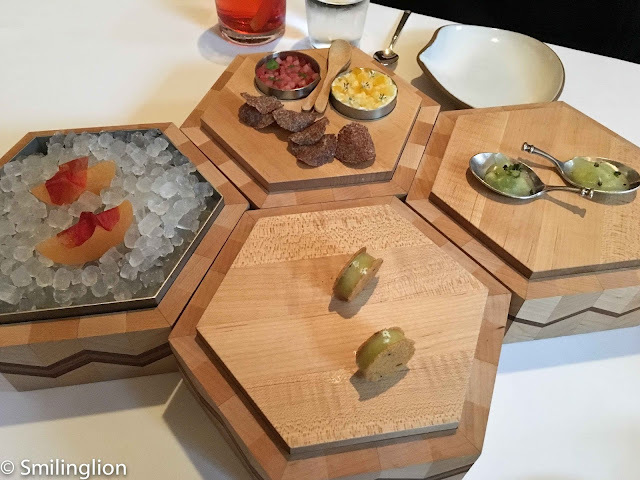 It was a pity that they did not bring the duck table-side and carve it in front of us which was what they used to do. The cheese course was a unique dish of Hudson Valley camembert with plum and basil. The puffs were stuffed with hot melted cheese and went well with the plum puree and basil cream. 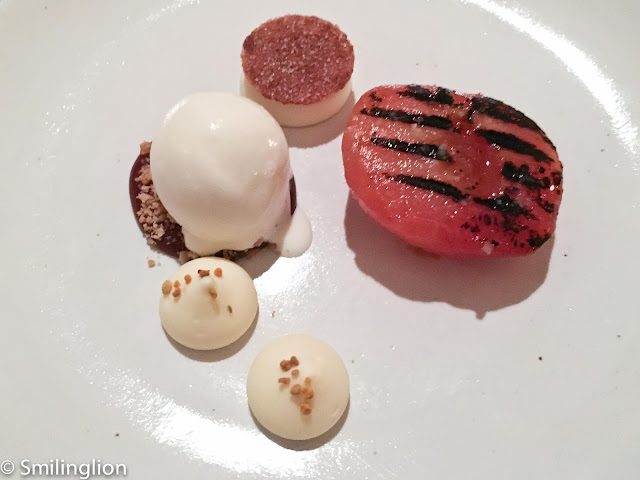 The dessert was quite special: The Plum and Cantaloupe grilled with ricotta ice cream and oats was grilled table-side and the hot, grilled and caramelised fruits were appropriately matched by the cheese ice cream and oat biscuit. Finally, the chocolate course, the Chocolate "name the milk", pretzel with sea salt, was in the form of an innovative quartet of chocolates, which were each made of the milk of a different animal. 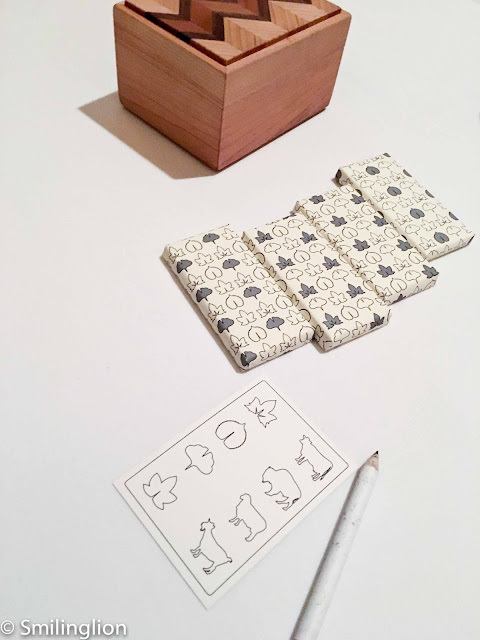 To make things interesting, we were given a card and pencil to mark in whichever we though was made of the milk of a cow, buffalo, sheep and goat. Suffice to say, we got it terribly wrong, but the chocolates were very good nonetheless. 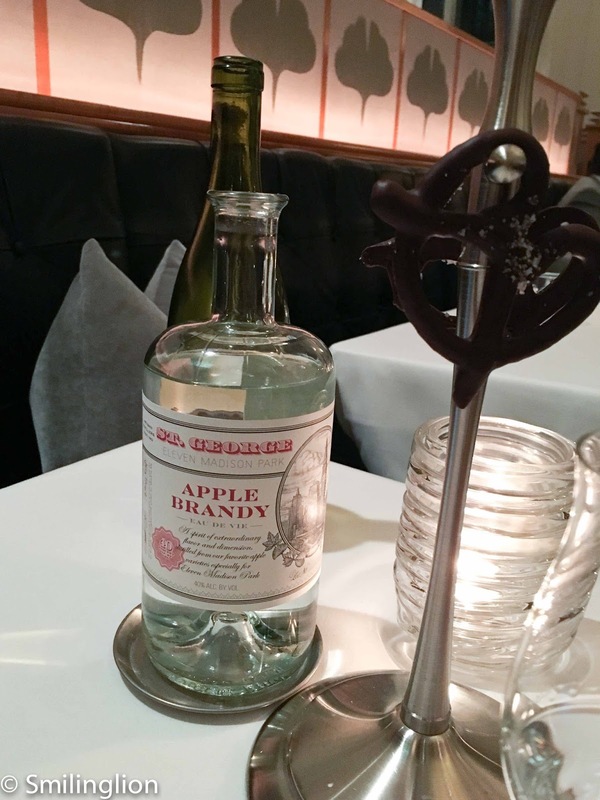 The dinner ended off with a chocolate pretzel with sea salt, and apple brandy. Our meal at EMP this time was excellent and met all our expectations. 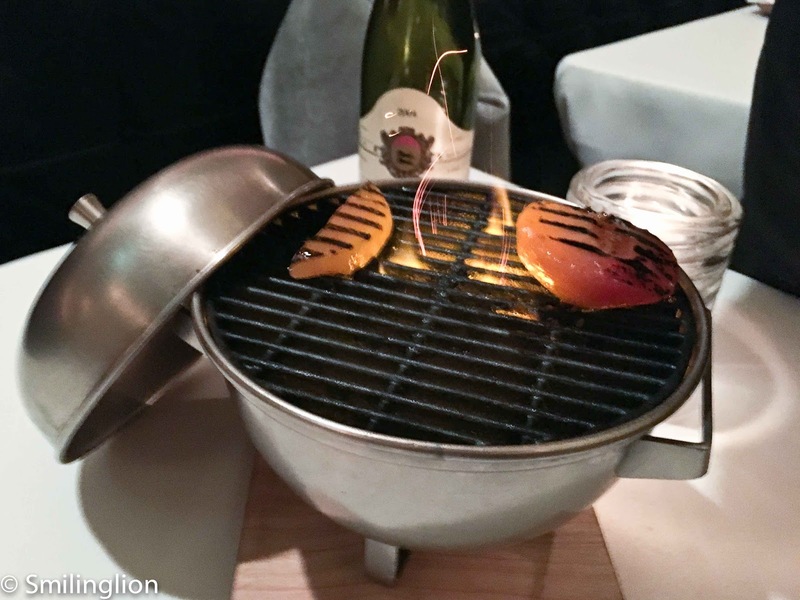 The service was self-assured and attentive, and the ambience and dining experience was very comfortable. We felt that the cuisine now was more mature, and was less gimmicky than the last time we dined here. 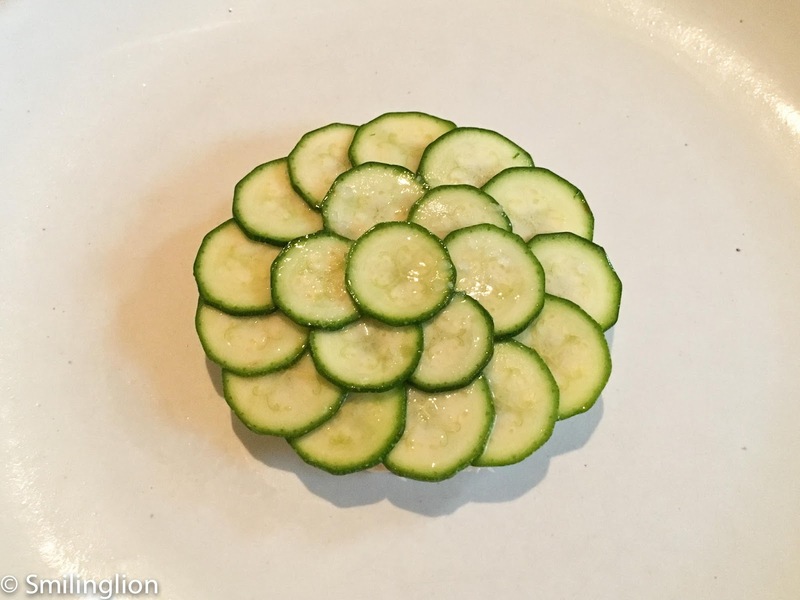 There were a few dishes which tried to push the boundaries of conventional tastes, such as the experimentation with acidity, and in most cases these worked well.